Semicircles PowerPoint templates, backgrounds Presentation slides, PPT Themes and Graphics. 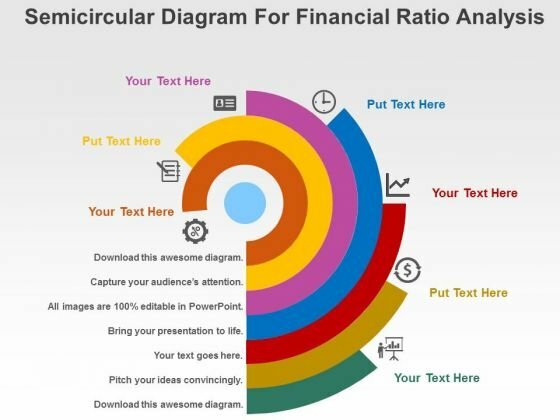 Use our Semicircles PowerPoint templates and themes for your presentations. These can be used to create presentations for businesses, educational institutes and other establishments. We also have a selection of free semicircles PowerPoint templates in our free section. A semicircle template is quite useful when you want to showcase SWOT Analysis (Strengths, Weaknesses, Opportunities and Threats), stages of a process, corporate teamwork, customer relationships, stages of a business process and more. Venn diagram, pie charts and puzzle pieces are also variations of semicircular diagrams. Semicircles stacked upon each other can beautifully depict the different stages or steps in a business plan. All these ppt templates are 100% editable in PowerPoint so that you can fit your data and create an awesome business presentation in a short time. Communicate with your group through this slide of circles. It will facilitate understanding of your views. 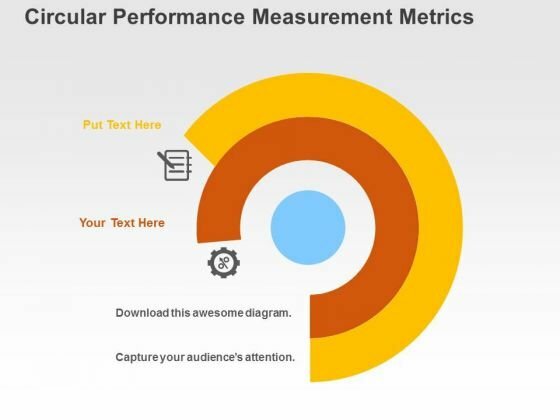 This diagram can be used to display performance measurement in business presentations. 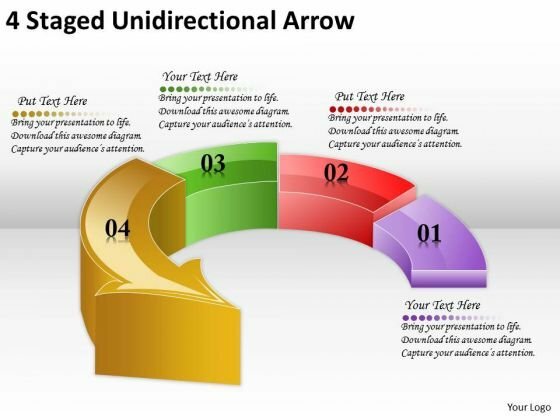 Deliver The Right Dose With Our Timeline Ppt Template 4 Staged Unidirectional Arrow Powerpoint Templates. Your Ideas Will Get The Correct Illumination. Your Abilities Have Been Lying Dormant. Awaken Them With Our Semicircles Powerpoint Templates.